DOMINICA, Nature Island Destinations, Commonwealth of Dominica, East Caribbean, West Indies, English speaking. This service is based in and dedicated to the Commonwealth of Dominica. vehicle hire, scuba, whale-watch, guided bird + botany tours, hiking guides etc. (pronounced Domineeca), is located south of Antigua, Monserrat and Guadeloupe in the Eastern Caribbean. Long regarded as the Nature Island of the Caribbean, it is truly a nature lovers dream... a mountain range with several peaks approaching 5,000ft. cloaked in tropical rainforest and lush vegetation. 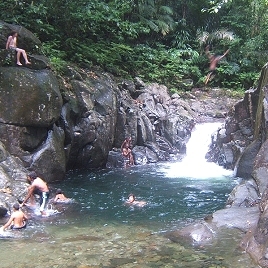 Dominica boasts a river for each day of the year. Waterfalls, lakes and thermal hot springs are in abundance. this service costs absolutely nothing to use. 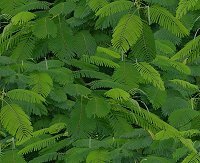 Our aim, through the pages of this website and our personal service, is to make planning and booking your visit to Dominica not only easy, but fun, so that when you arrive, you don't waste any of your precious holiday time. 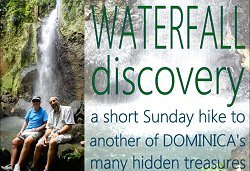 You'll learn all about how to get to Dominica, how to get about, where to go and what to see and do in our beautiful island paradise, where crime is scarce and locals tend to be friendly, polite and helpful to visitors. 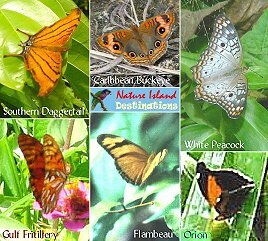 We have provided features on what there is to enjoy whilst on vacation in Dominica - such things as scuba diving, whale and dolphin seafaris, birdwatching and botany tours with foresters, on our World Heritage Site - the Morne Trois Pitons National Park, Rainforest Aerial Tram, the world's second largest Boiling Lake, Carnival in February, Walt Disney's Pirates of the Caribbean, a lot of which was filmed in Dominica... and more. 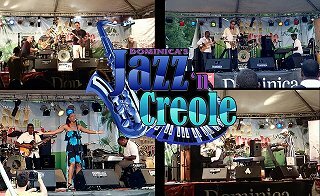 Contact us to book your accommodation in DOMINICA or for further information.